Preface: Hideki Maeda is a native of Japan where he has worked as an editor for a Japanese fishing publication and authored articles for US fishing magazines. His involvement in the Japanese fishing industry stretches far beyond the written word witnessed by his biggest obsession - designing lures. We've come to learn Hideki was instrumental in a number of creations for other brands. 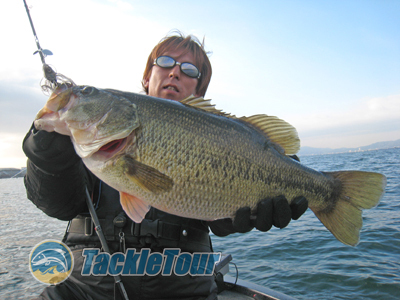 He has his finger on the pulse of the Japanese bass fishing industry and through TackleTour, he looks to share with all of us may of the current trends in Japan. First up? Subsurface Prop Baits. 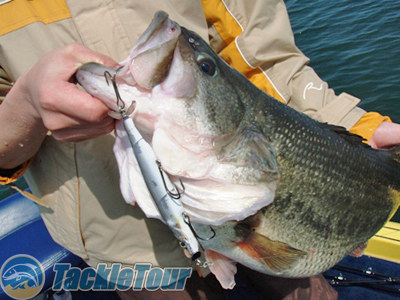 Introduction: Prop baits are nothing new to US anglers. Baits like the Devil's Horse, Boy Howdy, and Dying Flutter have been popular topwater baits for quite some time. 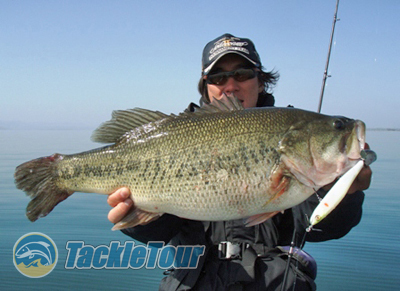 But in Japan, prop baits are not just for topwater anymore. Always looking to change things up, Japanese bait manufacturers are now making prop baits that flash and create turbulence underwater. These new baits are gaining in popularity year by year and represent one of the newest trends in the Japanese tackle market. 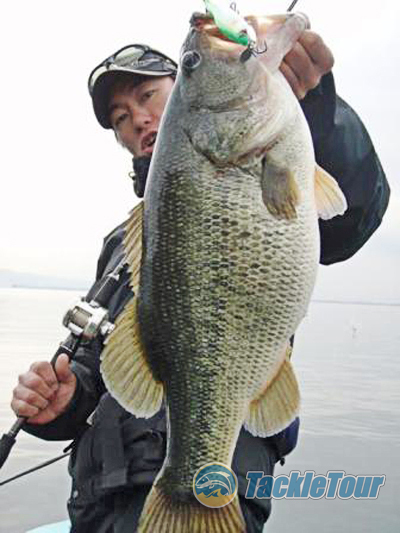 Koji Hasegawa is credited as discovering the subsurface prop bait trend in Japan. Gan Craft: It was Koji Hasegawa, a full time guide on Japan’s Lake Biwa since 2002, who in 2006 was fishing a Double Swisher bait accidentally with fluorocarbon line. Naturally, the fluorocarbon line sank and pulled the bait down underwater with it during Hasegawa’s retrieve, but what Hasegawa discovered thanks to his mistake was that several big fish came up to follow the lure! Accidents do happen, and if you're a bass pro or guide, that's not always a bad thing. Wanting to see if he could get these fish to strike the bait subsurface, as an experiment, he put several “suspendots” on the belly of the Double Swisher to make it run even deeper. It worked and he soon was able to determine the reason for this new, accidental bait’s success. 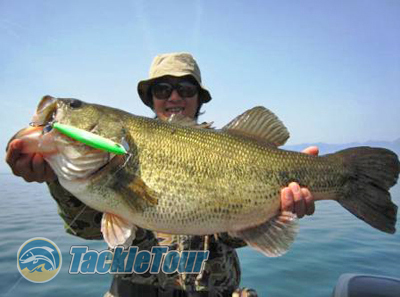 Hasegawa with a Biwa Lake lunker. “Bass really like the sinking prop baits which keep going straight with same depth without rolling, wobbling or any action,” Hasegawa says. “Front and rear props help the bait no-moving, and thanks to their spinning resistance, you can keep the range control easily. It is very important to reel as slow as possible. You don't need to twitch or jerk it. Just keep reeling it steadily. The difference between lip baits and skinny lipless baits is a water displacement bass can feel. Lip baits move water a lot. Under-water props are also making flash, slight steady turbulence and noise. At first bass find the bait in sight, and starts following it, and then bass feels its turbulence, and bites it finally." Hasegawa continued to fish the bait in this manner for a year and became a true believer in his new found technique. 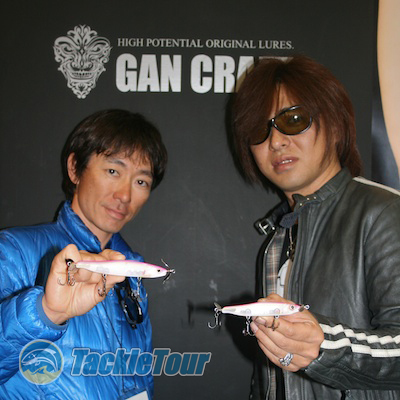 In 2007, Gan Craft started making prototypes for him, and then in 2008, "Screw Bait" was available in the market. Gan Craft’s Screw Bait has two sizes, 110mm and 130mm long, and three types, SS(Slow Sinking), NS(Normal Sinking), and FS(Fast Sinking), so it covers from sub-surface to 30ft deep. Koji Hasegawa (left) and Takanori Hiraiwa (Gan Craft owner, right). 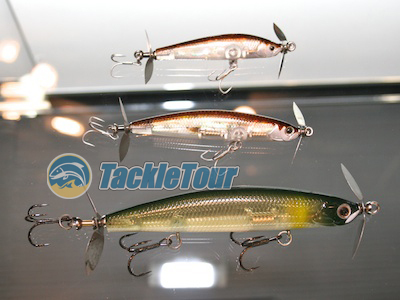 DEPS: In 2009, DEPS started selling "Prop Jig" which is a swimming jig with DEPS's Original prop. The prop doesn't have a center hole, so it has a slight vibration and makes clicking sounds during its rotation. The DEPS Prop Jig also has very thin flat silicon skirts. It is a similar concept to the Gan Craft Screw Bait. Spinnerbaits have too much flash, noise and displacement sometimes making them harder to trace. Prop jigs are more subtle and easier for the fish to hone in on. Kazamasa Okumura, of DEPS, with a giant Biwa Lake fish caught on the DEPS Prop Jig. Kazumasa Okumura, owner and lead designer at DEPS, caught many giant fish in Lake Biwa in his testing. 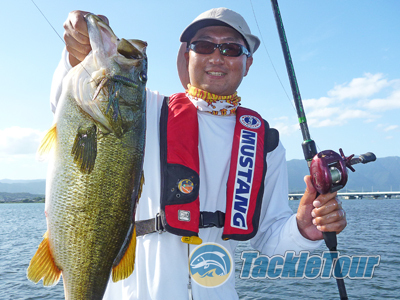 DEPS Pro Staff followed up on Mr. Okumura's success with many big fish of their own. DEPS Prop Jigs are available in Shallow Tracer(5/8oz), Mid Tracer(3/4oz), Deep tracer(1oz). The Prop Jig Tiny Prop(down size model with smaller prop) come in 3/8oz and 1/2oz sizes. Further, this year, DEPS released "Prop Jig Arm". This is an attachment part with a prop that you can put on any kind of unweighted softbaits, jigs and so on.